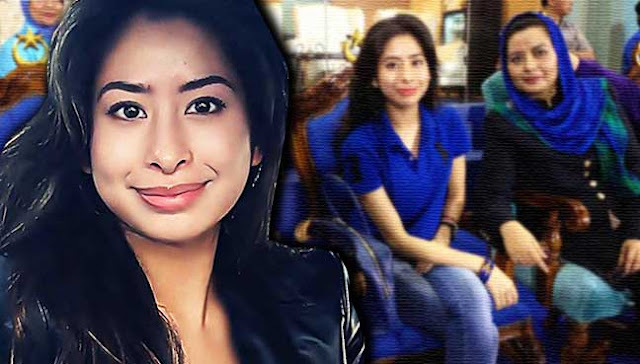 PETALING JAYA: Tunku Tun Aminah Maimunah Iskandariah, the daughter of Sultan of Johor Sultan Ibrahim Sultan Iskandar and Permaisuri Johor Raja Zarith Sofiah, will marry commoner Dennis Muhammad Abdullah in a private wedding ceremony at Istana Bukit Serene in Johor Baru on Aug 14. Tunku Tun Aminah will marry commoner Dennis Muhammad in a private wedding ceremony at Istana Bukit Serene in Johor Baru on Aug 14. Dennis Muhammad, formerly known as Dennis Verbaas, from Lisse, the Netherlands, converted to Islam on May 31, 2015, reported the New Straits Times today. “Tunku Tun Aminah and Dennis Muhammad will tie the knot in accordance with traditional Malay and Johor Palace Culture,” Royal Court Council president Rahim Ramli said. He said a tahlil and thanksgiving prayer would be held at the Pasir Pelangi Mosque on Aug 10 before the betrothal ceremony on Aug 14 at 10am. Johor Mufti Muhammad Tahril Shamsudin would conduct the solemnisation ceremony, Rahim told a press conference in Johor Baru today.